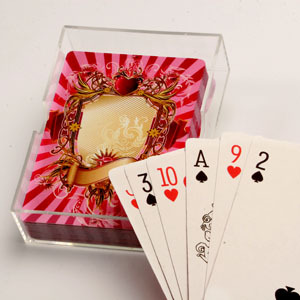 Product Description: High quality 54 card playing card deck in elegant plastic storage case. Deck includes 2 jokers. Back of playing card is printed with a single image that you select. Size: 2.5 x 3.5"